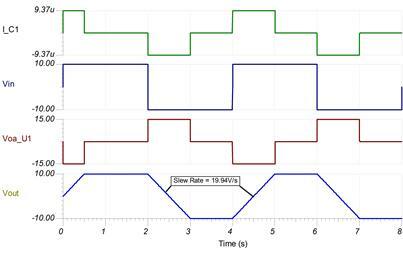 This TI Reference Design demonstrates a single op amp used as a slew rate limiter. In control systems for valves or motors, abrupt changes in voltages or currents can cause mechanical damages. By controlling the slew rate of the command voltages, into the drive circuits, the load voltages can ramp up and down at a safe rate.